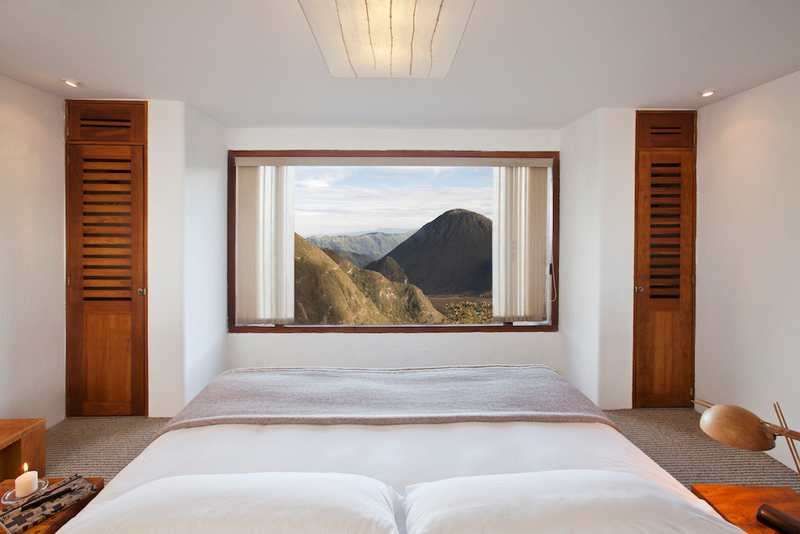 All the elements used in the hotel are organic, designed and handcraftedly made by locally famous artists. The Hotel is ideal for a romantic night, as well as for a contemplative and relaxing experience. Every suite is equipped with a king-size bed, led screen, DirecTV, home theatre, frigo bar, a comfortable leather room, full bathroom with baño completo con tube and dressing table. We also offer free WiFi Internet. All artworks decorating the hotel are form well known Ecuadorian female artists. 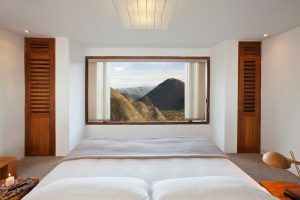 50 square meters suite, located on the upper zone of the Hotel, and for its architectonic design it allows a great view to the Crater of Pululahua volcano and the Middle of the World. 40 square meters suite, located on the lower zone of the Hotel.